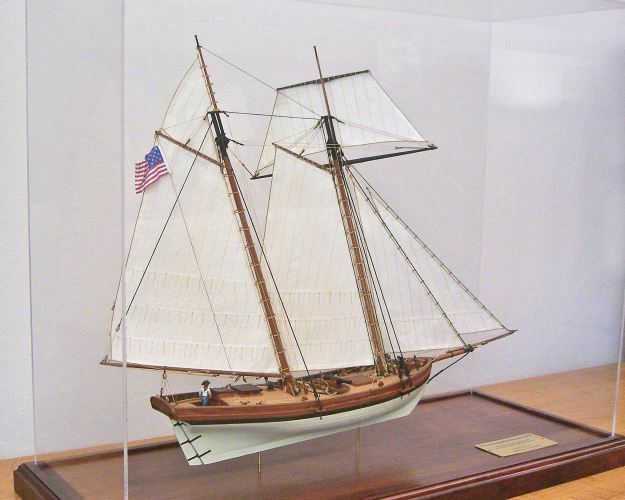 The Nautical Research Guild’s 2015 Photographic Ship Model Competition is still open for entries. But, if you intend to submit your ship model photos, you’d better hurry as the deadline is May 31st, 2015. This is the third such competition, the first one being in 2011 and the next in 2013. There are some truly amazing models entered by NRG members, but it’s not all about winning, it’s also about learning from others. The submissions are reviewed by a panel of knowledgeable judges, who will score and provide comments and evaluation. It’s not easy to put yourself out on a limb to critique, but in the end it’s all about building better models. This is my model of the Private Armed Schooner Lively, 1813. It is a scratch-build based on kit plans from the old North River Scale Model company. Maybe I’ll finally enter it in the NRG competition this year.